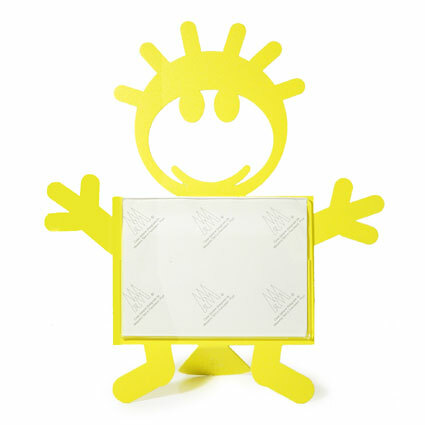 A funky style designer photo frame set with a happy young boy design. Made from powder coated metal in a yellow finish. The frame is 22x24cm and takes a 12x9cm photo.